Amy Jo Kim, community architect and co-founder of Shufflebrain, closed out the conference with an incredibly actionable talk, in which she delivered us the tools and language we need in order to build collaborative community spaces. Amy is one of the true leaders in collaborative design and product creation. 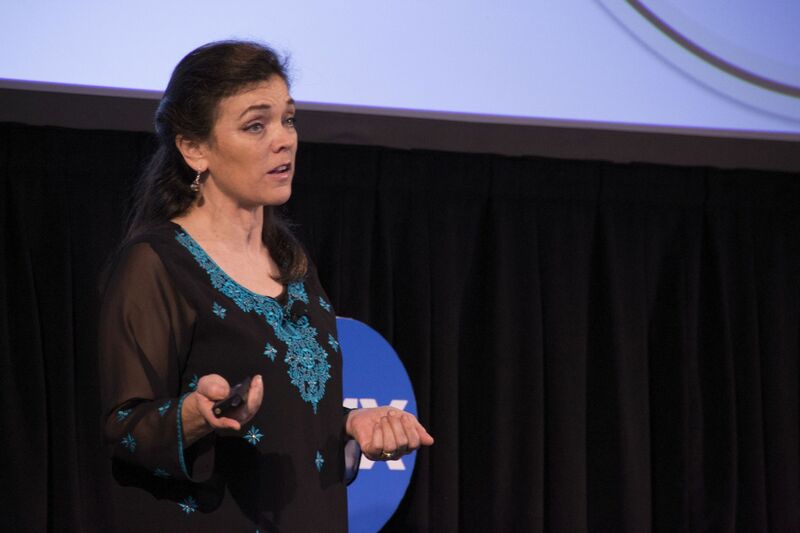 Her company, Shufflebrain, specialize in early-stage design and innovation. They’ve built hugely successful games like Rock Band, Covet Fashion, and The Sims, just to name a few. “At first, I didn’t know how to tell if a game would be a success or not, but over time, I realized that the cooperative games were really winning out,” she said. We can apply her knowledge of collaborative design to building out collaborative community spaces where we can build movements together around brands and causes. Define and articulate your purpose. This is similar to Douglas Atkin’s central thesis that we must have a strong mission statement that we ask our community to uphold. Build flexible, extensible gathering places. This can occur both online and off, but our online spaces must be continuing evolving to meet members’ needs and to integrate their feedback and natural behaviors. Create meaningful evolving profiles. Again, profiles should evolve with time as the lifecycle of community membership evolves. Design for a range of roles. Not everyone will play the same role in your community and, in fact, you’ll do better if you have a wide range of activities for people to do. Let them participate in the way that makes most sense for them. For instance, if you’re running an online fashion community, you may want stylists, bloggers, photographers, writers, designers, models, and more. Develop a strong leadership program. Ambassador programs and other ways of elevating your community will allow them to feel like rockstars once they’re promoted to this level, becoming natural advocates. Encourage appropriate etiquette. Spotlight users or compliment those that uphold your mission particularly well. Promote cyclic events, like meetups and conferences. Integrate rituals into the community life. This could be a weekly regular topic that you return to on a message board, a daily check-in, or a way to get everyone to say hello to new members. 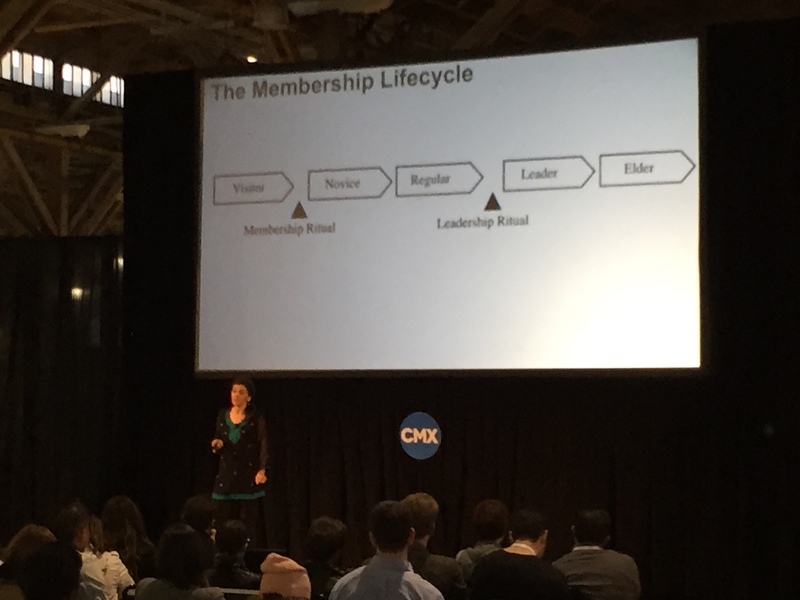 Next, Amy walked us briefly through the membership lifecycle. This can be incorporated into the product itself to engender deeper engagement. We’ve seen Jeff Atwood reference this lifecycle before when talking about building Stack Exchange and Discourse. In this process, not everyone is motivated by zero-sum mechanics. This is where collaboration comes in. “This is a game in which we are partners, not opponents. We win together and lose together. The point is to play and build relationships,” she said. These are the most rewarding experiences to be a part of. So how do you design for collaboration? 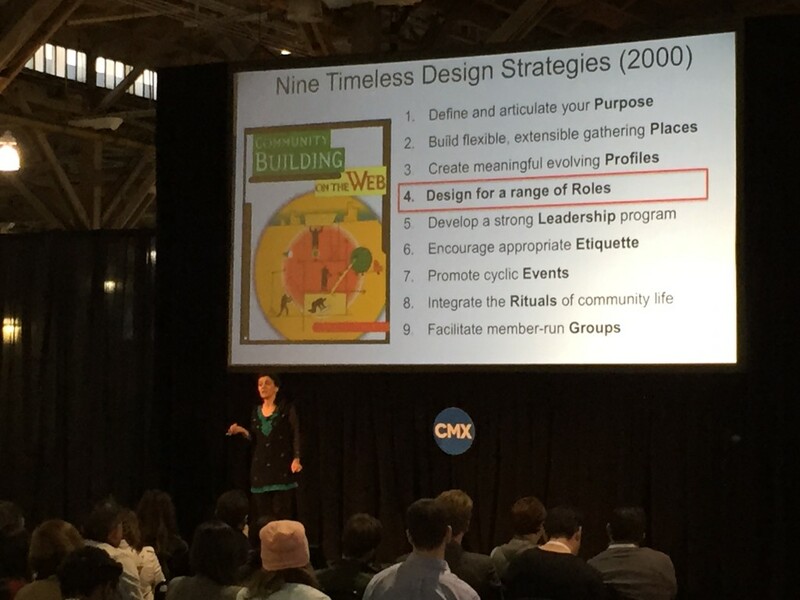 There are five core tactics to design for collaborative community experiences. Amy explained each one of them, breaking them down and sharing how we might think about them as we build community. 1. Compete with the System. Create competition with the system, not with other players. Ask yourself: How can we define what we are not so that we can work together as a community to overcome the problem we’re solving for? 2. Introduce shared resources and gathering tools (i.e. the current “It girl” of collaboration, Slack). Shared resources can include a shared online space, shared resources within that space, and shared points in games like Rock Band. Ask yourself: What can we share in our community that will bring us closer together? How can we create a space where we are willing to share and do not see our resources as scarce? 3. Create interdependent roles. For example, create judges and enforcers or writers and editors. Ask yourself: What distinct roles can my community members play and how can I begin to segment them and explain these roles as part of our community story? 4. Cooperative social gestures. This is positive social reinforcement, like kudos, likes, and retweets on Twitter. Sharing and donating is also a part of this. Negative feedback is dangerous and has no real place in a cooperative environment. Ask yourself: what positive social gestures can we incorporate into the community and display for our users? What negative feedback patterns can we eliminate (i.e. downvoting)? 5. Non-zero sum stats. Put the “we” into your leaderboards. Nike does a great job of this. They give overall community stats rather than competitive stats. Collective achievement is very powerful. Spotlighting can be more powerful than leaderboards and winners. Ask yourself: How can I create an incentive-based badging system? How can people work together to achieve things in our community? One of our members, Chloe Good from Campus, asked, “Is there a product that works like a shell where communities can work together to accomplish things?” Amy’s response was that nothing like this exists, but her dream is that one of us will create such an open collaborative platform for inciting movements.